In simpler times the interview process for job seekers was, well…simpler. Answer an ad, get called in for a meeting with the employer, show up presentable and prepared, receive the job offer and start work soon after. These days the basic stages described above are the same. Only now there may also be pre-screening, multiple interviews and/or pre-employment testing as well. 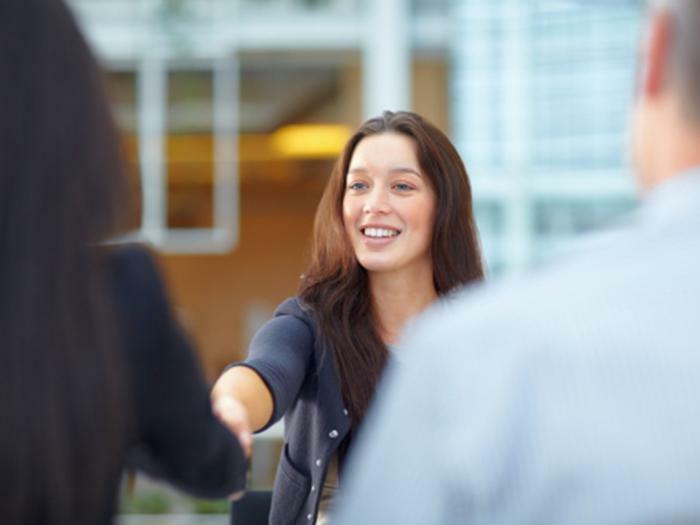 Even negotiating the job offer may be one of the ways you are judged by the employer. Another pre-screening tool might be an initial phone call that you receive from the employer. It could be one of their Human Resources people wanting to ask you a series of questions that will help them determine if you are the kind job seeker they want to bring in for an interview. So be alert and on your best behaviour when your phone rings. After you make it past the pre-screening stage, it’s on to the first-level job interview, which is generally conducted in person. Often this meeting is held on the employer’s premises, though more and more they’re taking place in coffee shops across Canada. On occasion the interview may actually be done over lunch, breakfast or dinner at a restaurant. The objective of the employer here is to see how you behave face-to-face. They’ve already read your resume and pre-screened you, so what they are looking for is enthusiasm, professionalism and your ability to think on your feet. Many times employers use the first-level job interview to do further screening: that is, they try to narrow down the list of potential applicants to a “short list,” which consists of the top three to five applicants. Candidates who are short-listed get invited back for a second round of interviews. Possibly a third round too, or fourth and beyond the higher up the position is that you’ve applied to. Your goal during formal interviews is to impress the employer with your knowledge, and with the way that you speak about your experience and achievements. Answering behavioural questions effectively may be part of your task. Following up with Thank You notes is important as well. An employer may decide to check your references before making an “offer of employment” to you. Therefore you’ll want to prepare your key references in advance. It’s a good idea to try and have the following people available: your previous boss or supervisor (better yet, your current one, if they’re supportive of you moving on); a co-worker who is familiar with your recent contributions; and a personal reference – possibly a friend, relative or a professional such as an accountant, teacher, lawyer - who can vouch for you. As for negotiating the job offer, it is generally advisable to get it in writing so that both you and the employer are clear about the terms being presented. Start date, salary and benefits, job title, probation period (if any), holiday entitlement, should all be clearly spelled out. This is especially true if you elect to negotiate some of these terms. You will want an accurate record of the final agreement. The stages you will go through in a job interview process will depend on an employer’s practices and the level of position that you are applying for. Keep in mind that at each point in the flow of things, you are expected to be at your best. This means that you should try to maintain your enthusiasm and professionalism at all times. Treat every person you deal with during the interview cycle with the same level of courtesy and respect. Then follow up in a timely manner. This will create the strongest impression possible, and reassure the employer that they’ve made the best choice in offering to hire you.